This season Patagonia’s snow and alpine design teams have collaborated to build a comprehensive backcountry offering for skiers, boarders and climbers committed to moving through the mountains under their own power. They have approached it logically with an eye for fit and details appropriate to how you prioritise your goal in the mountains and at Countryside Ski & Climb we have, of course, covered all the bases. To help you navigate here’s a simple breakdown so you can help guide yourself in your choice. Lift Access : You’re pushing yourself to explore more each time you go. You like to take the lift to the end of the line then walk a bit in order to dip in and out of the boundaries on the way down. You need gear that is light and breathable for a variety of conditions and suits the done-in-a-day missions you love. Does Lift Access sound like you? Then consider the Patagonia Powslayer Jacket and Bibs. Made in extremely light and highly durable 3-Layer nylon ripstop with GORE-TEX® Pro fabric for the highest level of waterproof/breathable and windproof protection. Featuring a sleek, low-profile powder skirt (with snap at the centre front) which stays in place whether secured or not and rotates as you ride for comfort and protection. The bibs are built for movement (both up and down the mountain) and have a low-profile, full-coverage design which includes drop-seat adjustability, a centre-front zip for easy relief and belt loops so you can drop the shoulder straps when you’re wallowing in the boot path or chilling on the deck at close of play. Free Tour : You’re committed to more serious missions that require travelling a bit deeper into the backcountry. You’ve spent a lot of time in resorts and have expended your range further into the mountains and seek out fast aggressive backcountry descents with pillows and deep fresh powder. You prefer a roomier ‘snow fit’ but still want the breathability and protection found in more traditional gear. Does Free Tour sound like you? Then consider the Patagonia Reconnaissance Jacket and Pants. Made in light and durable double stretch weave softshell fabric with fully waterproof breathable 3-layer panels in key areas. This provides the optimum level of durable weather protection and breathable comfort needed for all day epic missions and hard work. Steeps : You’re looking at descents that are extreme enough to require technical climbing skills and are familiar with routes that need crampons, axe and rope. Because of the climbing required to access your objectives, you need a streamlined silhouette so nothing snags or catches but also need an unhindered range of motion for the steep descent. Does Steeps sound like you? Consider the Patagonia Kniferidge Jacket (men's and women's) and Pants. This unique fabric is light and extremely stretchy 3-Layer Polartec Powershield Pro that delivers an excellent balance of soft shell breathability boosted by hard shell protection. It has strength and fully taped low-bulk water-tight seams throughout. The jacket has a specially engineered Optimal Visability Hood™ which adjusts with a single pull embedded cordlock system and fits equally well over any climbing helmet or bare head. Alpine Touring : You love your classic multi-day ski tours like the Haute Route or the Canadian Rockies hut system. Covering ground is the main objective and descents are a bonus. You need the lightest most versatile gear and prefer a slim to regular fit. If Alpine Touring sounds like you? Consider the Patagonia Refugative Jacket (men's amd women's). This is a hybrid design for the optimal balance of stretch, low weight, waterproof and windproofness. It uses the latest 3-Layer Gore-Tex C-Knit backer technology which is lighter and more breathable than regular 3-Layer Gore fabrics. Don’t be mistaken this is a fully featured packable hardshell even though it feels very soft. Approach : Climbing is your priority and skis are the necessary tools to access the route you’re after. 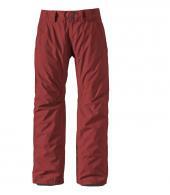 You prefer a traditional alpine fit that accommodates precise movement but handles a ski descent or the skin out. If Approach sounds like you? Consider the Super Alpine Jacket and Super Alpine Bibs – all you need for full protection if the weather changes its mind and you aren’t going to change yours. Gore-Tex Pro fabric offers the best performance when a balance is required between full-on protection and breathability in a robust and streamlined package. Resort Adventure Seekers : You and your friends or family would rather sacrifice a summer holiday than your weeks away in the mountains skiing or boarding! Your free time is precious and this holiday is the special one each winter. You need clothing that is up to the task in terms of durability and versatility whatever the weather because you must make the most of your time on the snow. Perhaps you’ve skied all your life and nothing fazes you or this is your first week on snow, either way you want kit you can rely on and that keeps you comfortable. If you are a Resort Adventure Seeker then consider the Primo Down Jacket for incredible warmth in a near weightless package. It works in resort and if we’re lucky enough to have a cold winter in the UK you’ll be laughing. If you really don’t want to over heat then the Untracked Jacket and Pants offer 3layer performance with a brushed backer to keep the edge off when temperatures really plummet or you’re stationary on a lift occasionally. For season-long versatility you have a great choice from Patagonia this season: the Insulated Powderbowl Jacket (men's and women's) and Pants (men's and women's) offer the ideal level of protection and versatility required by the seasonaire or those who manage to get away for several weeks a season and therefore need protection that can face the changing conditions. For accessible performance and quality take a look at the 3 in 1 Snowshot Jacket and Snowshot Pants or the Rubicon Jacket and Snowshot Pants. These are durable, functional and prove that best-in-class performance and quality can also include doing the least environmental harm possible, thanks to their recycled shell fabrics and insulation. 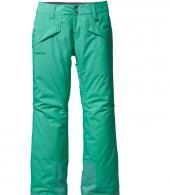 Don’t forget – Patagonia also has a great new range of snow packs to choose from. The Patagonia Snowdrifter is available in 20L, 30L and 40L volumes with size options in the 30and 40L models.